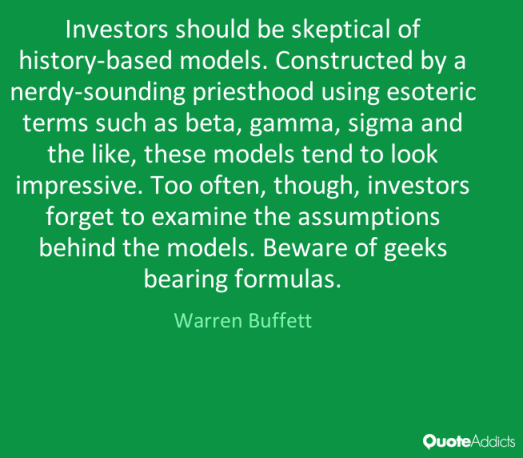 "Investors should be skeptical of history-based models. Constructed by a nerdy-sounding priesthood using esoteric terms like beta, gamma, sigma and the like, these models tend to look impressive. Too often, though, investors forget to examine the assumptions behind the symbols"